Paris is two years old. What is her favorite dog toy? What is her favorite dog treat? 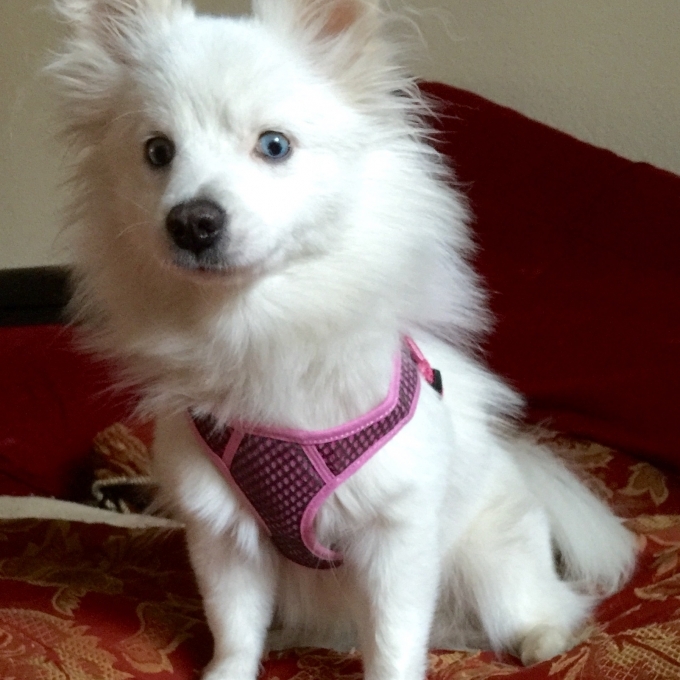 After the death of my Pomeranian, I started looking for another one, and came across a single mother that had a Pomsky that she couldn’t keep anymore because of living conditions. I instantly fell in love with Paris and now I’ve had her for one a half years. The expressions she can give has me laughing all the time! She is a ball of energy, there is never a boring moment. Shampoo! She loves getting dirty. 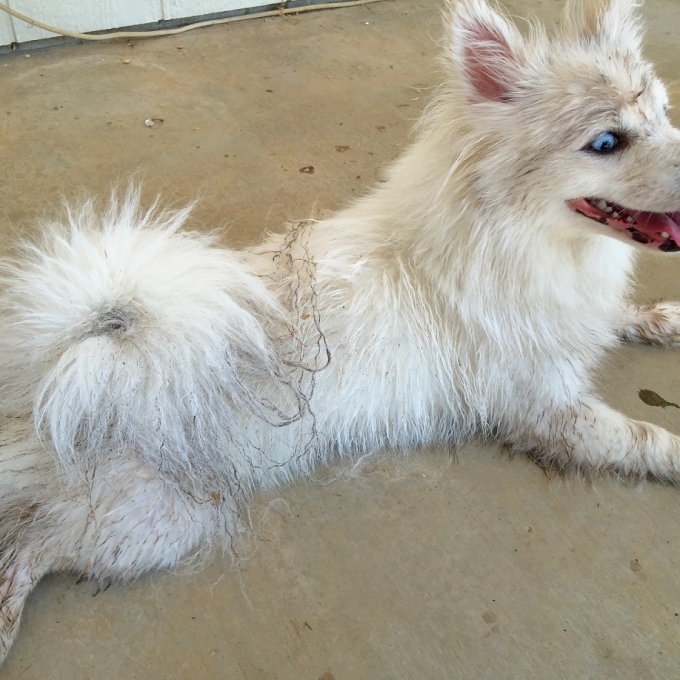 She find every mud puddle and loves digging in the garden! Our Pomsky needs a lot of exercise and play time or she gets rowdy. With that said, I would never have any other kind of dog now.